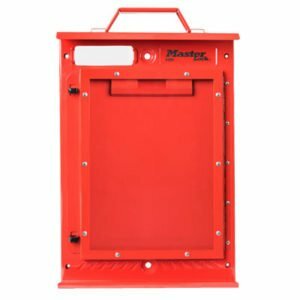 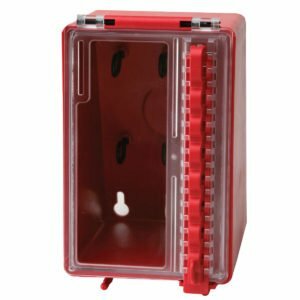 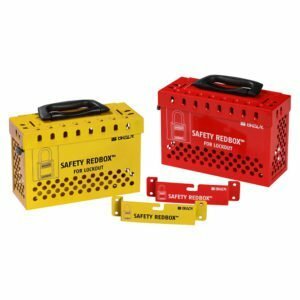 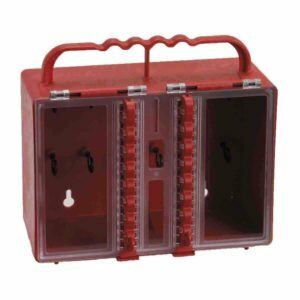 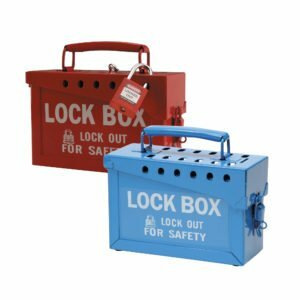 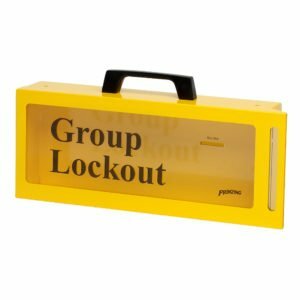 Group Lockout Boxes are used as part of a multi-worker activity when maintenance is carried out on machinery and equipment. 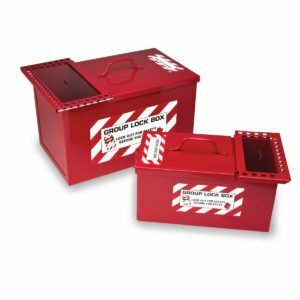 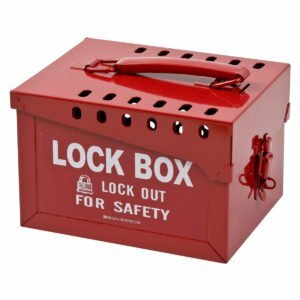 The lockout boxes can be varied in shape, size and color. 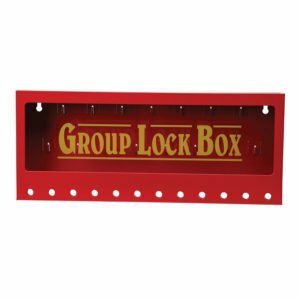 Some Group Lockout Boxes are portable and others are wall mounted. 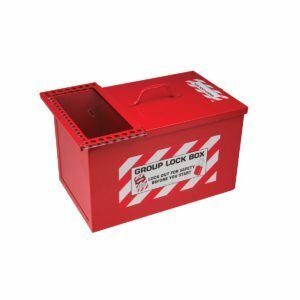 Their purpose is to be a common secure holding place for safety padlock keys which are being used in a lockout tagout procedure. 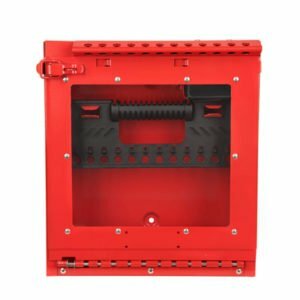 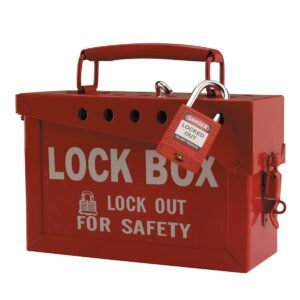 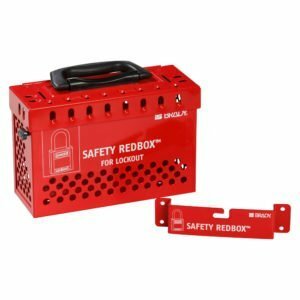 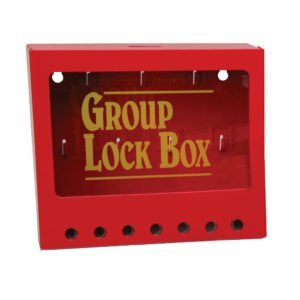 Each worker places the key to their personal padlock into the group lockout box after placing the padlock on the isolation switch or valve.